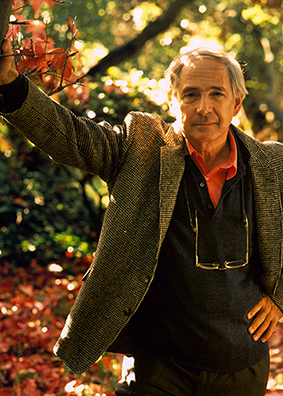 Dr. John Searle will deliver the next lecture in the 2013-2014 Philosophy Today lecture series Jan. 9. From the January 2014 Desktop News | Dr. John Searle, Slusser Professor of Philosophy at the University of California, Berkeley, will deliver the next lecture in the 2013-2014 Philosophy Today lecture series. His lecture, “Consciousness, the Brain, and the Soul,” will be presented Jan. 9 at 7:30 p.m. in 30 ten Hoor Hall on The University of Alabama campus. Searle is noted for his contributions to the philosophy of language, philosophy of mind and consciousness, on the characteristics of socially constructed versus physical realities, and on practical reason. He was awarded the Jean Nicod Prize in 2000, the National Humanities Medal in 2004, and the Mind&Brain Prize in 2006. He is the author of more than 20 books including Making the Social World: The Structure of Human Civilization and Philosophy in a New Century. His books have been translated into 12 languages. Searle received philosophy degrees from the University of Wisconsin and Oxford University, where he was a Rhodes Scholar. While on campus, Searle will also give a departmental talk, “Law and Social Reality,” on Jan. 9 at noon in room 344 at the Law School. All faculty in the School of Law and Department of Philosophy are invited to attend. He will also meet with students and faculty while at the Capstone. Lectures in the Philosophy Today series are geared toward a general audience and to those in any profession or academic discipline. Sponsored by UA’s College of Arts and Sciences Department of Philosophy, a grant from Louis W. Perry and other alumni, and friends of the department, the presentations are free and open to the public.